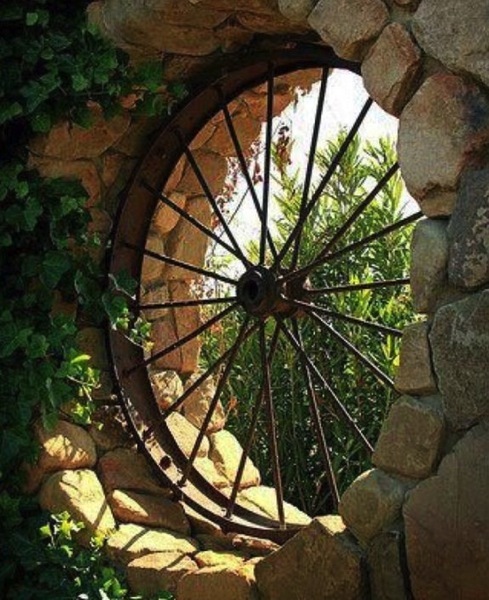 This looks to be the wheel from a stream tractor or perhaps an old water wheel that has been used as an opening in a lovely stone wall. I think this is a great re-use of something that has history but is also big and substantial. I am sure it will last for many years and always be a conversation piece in their garden. Categorized under: Build/Make, Design, DIY, Garden Decor, Landscape, Photos, Pinterest.